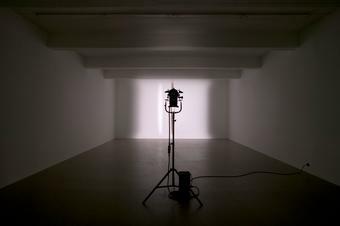 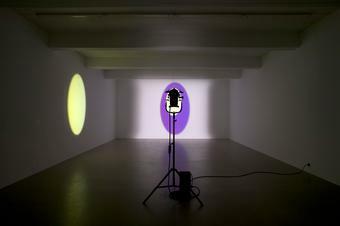 Light is projected onto a disc of yellow colour-effect filter glass that, suspended from the ceiling, rotates slowly. 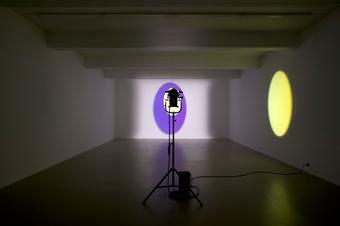 A circular yellow reflection from the glass glides around the perimeter walls. 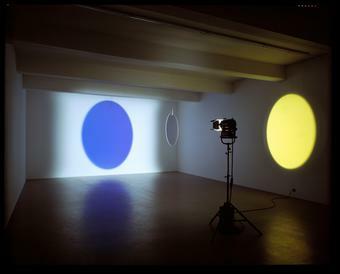 The light that passes through the disc is blue; this is projected onto the wall opposite the spotlight. 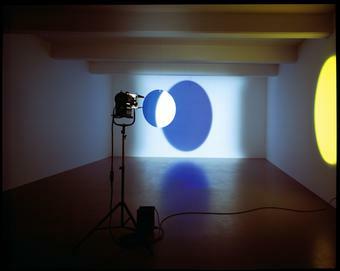 The shape of both the projection and the reflection evolves from round to elliptical to only a thin line, depending on the angle of the revolving disc in relation to the spotlight.